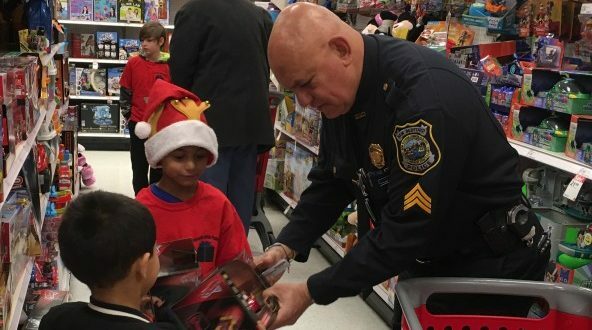 The smiles of children and police officers filled the day with the holiday spirit during another successful “Presents with Police” has provided gifts for children who might otherwise go without this Christmas. 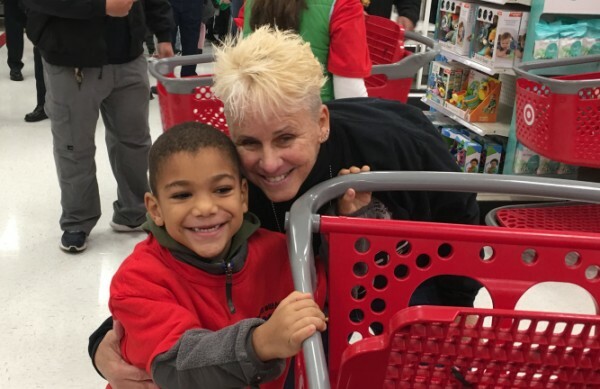 About 100 officers shopped with about 100 disadvantaged children on Saturday, Dec. 1, making memories and building bonds that will last a lifetime. 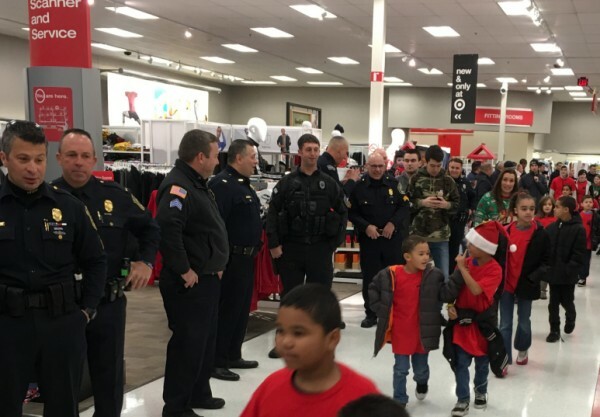 Children walked the aisles of Target, 479 State Road, Dartmouth, for a very special shopping trip with police officers. 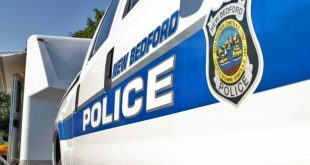 Thanks to financial contributions from the New Bedford Police Union, Target, Tremblay’s Bus Company, Shuster Corporation, Pepsi, Dunkin’ Donuts and individual police officers, the children selected presents for themselves and their family members to ensure they will have gifts to open Christmas morning. After shopping for about an hour, the children returned by bus to Keith Middle School, where they and the officers wrapped their selected gifts and enjoyed a pizza lunch donated by Busters Sports Bar and Grill. Officers from the Acushnet, Fairhaven and Halifax police departments also generously participated. This is the third year the event has taken place. Officer Jeremy DeMello organizes the event. This is awesome! I got to watch this live this morning, and I am so very proud of all these officers going beyond what is expected of them. 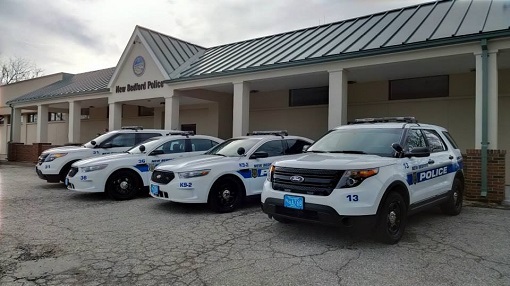 People sometimes forget that police officers where children once, and and you can definitely see it here,, they have such a big hearts,, GO New Bedford Police 🙂 woot woot!!! !